Every year thousands of women and men join together to fight breast cancer, spread awareness and raise money for the Susan G. Komen for the Cure and National Philanthropic Trust Breast Cancer Funds. Learn more about the 3-Day walk here, find out what you need to know before registering, and find a race near you! The Breast Cancer 3-Day route covers approximately 15 to 22 miles each day for three days in a row, totaling approximately 60 miles! In order to register for the Breast Cancer 3-Day as a walker, you must be 16 years old by the end of 2009. Minors 16 and 17 years of age must be accompanied by a parent or guardian who is also registered for the event. All walkers are responsible for thir own fundraising and must raise a minimum of $2,300 for the Breast Cancer 3-Day benefiting Susan G. Komen for the Cure and the National Philanthropic Trust Breast Cancer Fund. All participants must have medical insurance at the time of the event in order to participate. 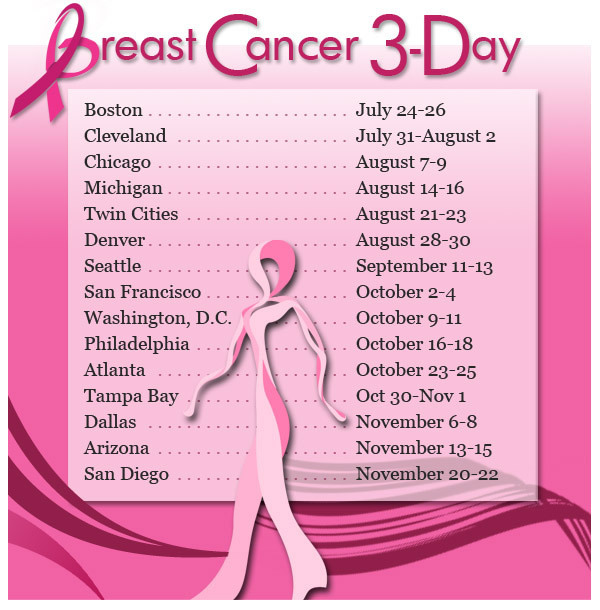 Click here for the official Breast Cancer 3-Day Registration. What is the 3-Day event like? 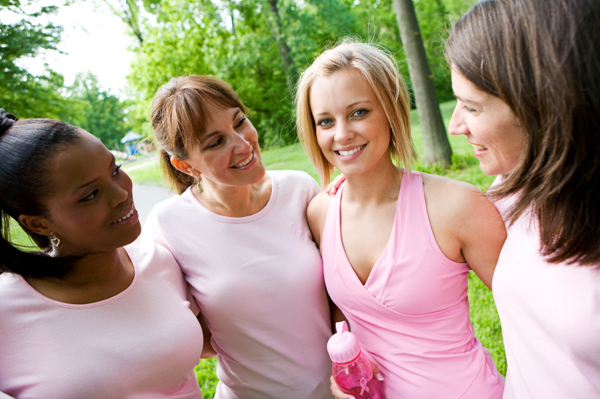 Read the Breast Cancer 3-Day Walk Blog!